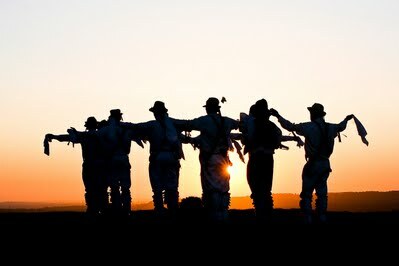 White Rose Morris men are always pleased to welcome new members. We meet at H.D.1. Dance, 5 St Johns Road, Huddersfield HD1 5AY on Wednesday evenings. 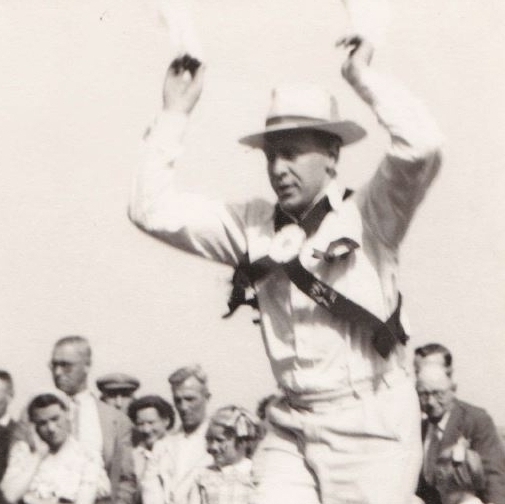 The 4th Cliff Barstow Jig Competition will be held at Shepley Folk Festival on Saturday 18th May 2019. A trophy will be awarded to the winner. ...are based in Huddersfield, West Yorkshire. 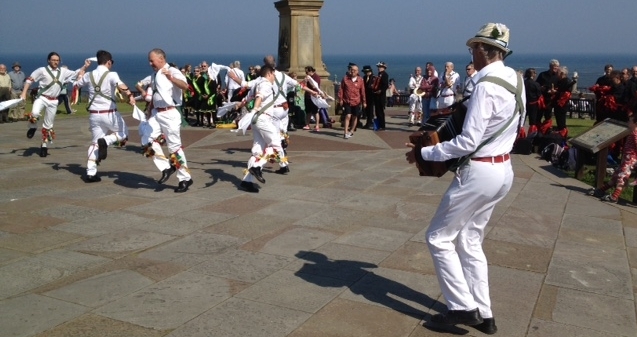 Originally formed in the autumn of 1953 by a number of Leeds University Morris Men and others who wished to form a non-university side, White Rose Morris men met initially in the Burley Road scout headquarters and were helped by Ron Smedley, the EFDSS Yorkshire Area Organiser. Co-operation continued with the Leeds University Men resulting in the joint hosting of the 53rd Morris Ring Meeting in Leeds in 1956 although it was to be 1959 before White Rose were admitted as a member side into the Morris Ring. In 1971, the club moved its base to Huddersfield and organised the 215th Ring Meeting in the town in 1986. In 2013, the side celebrated its 60th anniversary with a weekend of dance which spanned Calderdale, Kirklees and Colne Valley. 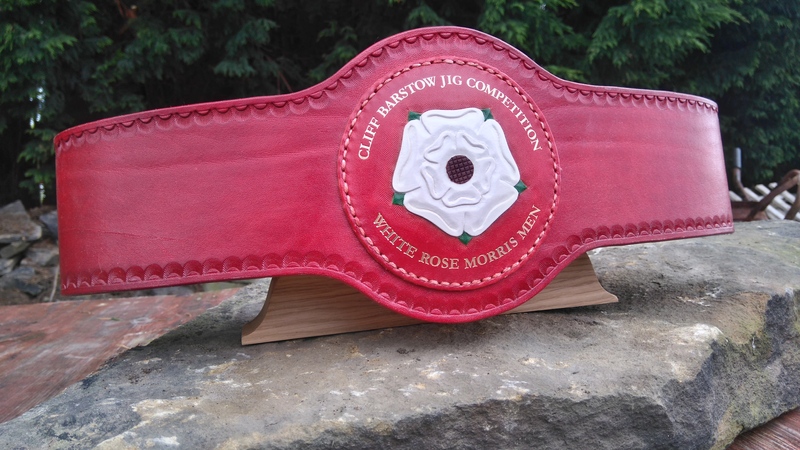 Cliff Barstow, a founder member of White Rose, sadly passed away in February 2015, but the tradition is continued by his son (Ned) and grandsons (Joseph and Liam who are stalwarts of the present side, although based far from Huddersfield). 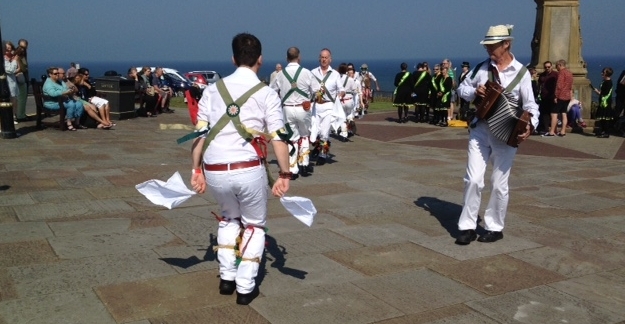 A familiar sight in distinctive ‘whites’ with green baldricks and straw hats at Holmfirth Folk Festival and other local events, White Rose promote the South Midlands (or Cotswold) tradition ‘Up North’ and have also danced in Sweden, Jersey, Provence and Romania. 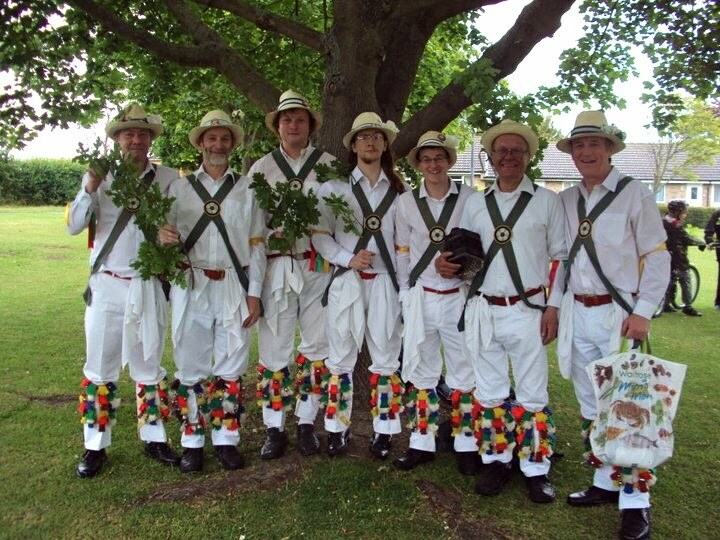 White Rose Morris Men have spawned the young associate side Dog Rose that appears in the English Roots and Demon Barbers folk road shows touring nationwide and bringing ‘the Morris’ to a wider audience, as well as sister side Hexadaisy Morris. Celebrations for our Golden Jubilee in 2003 took place throughout the year and included a weekend gathering in September when around 280 members of traditional dance sides descended on Bradley Wood from around the country to tour the surrounding areas. 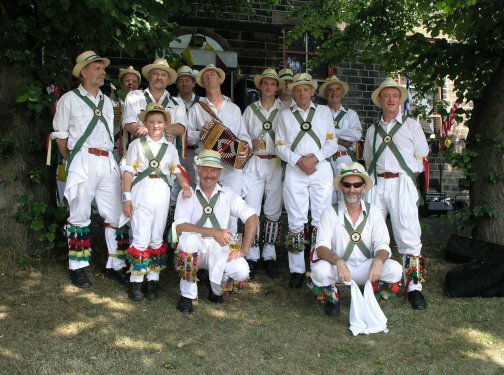 White Rose Morris Men practise at HD1 Dance Studio , 5 St John's Road, Huddersfield HD1 5AY on Wednesday evenings except during the summer months (when we often dance out) and new members are always welcome, however inexperienced!